Wow! That was quite a week eh? Thank you so much to everyone who visited my blog, commented and followed me at different haunts around the web. I appreciate it so much that you came by. 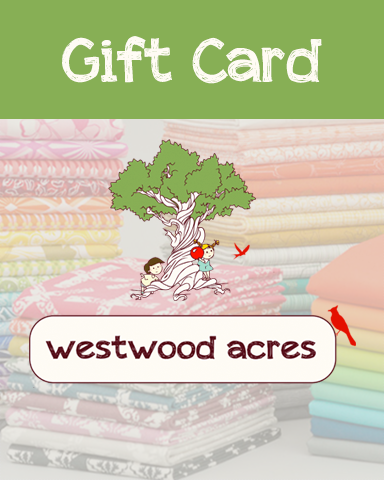 The winner of the $50 Westwood Acres Gift Card was comment #322 (out of 903 comments!) as chosen by Random . org and that is Sandra. I have sent you an email Sandra. The winner of the hand decorated notebook and handmade card set as chosen by Random . org was comment # 94 (out of 146 comments!) and that is Cara. I have sent you and email Cara for your mailing address. Thank you everyone for participating and for your organizing tips. Thank you to Sew Mama Sew for hosting!